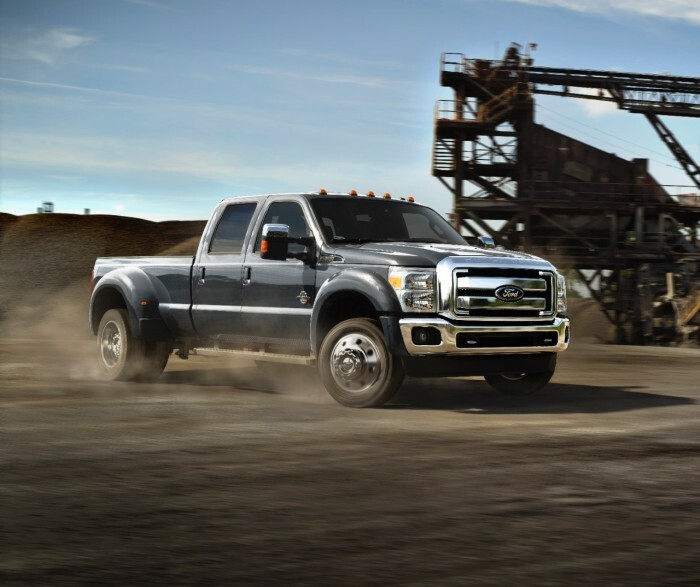 The new Ford F-Series Super Duty has been announced, and it is bringing with it best-in-class horsepower, torque, and towing capacity. Ford’s workhorse will achieve segment-topping numbers with the help of the second-generation 6.7-liter Power Stroke® V8 turbo diesel engine. 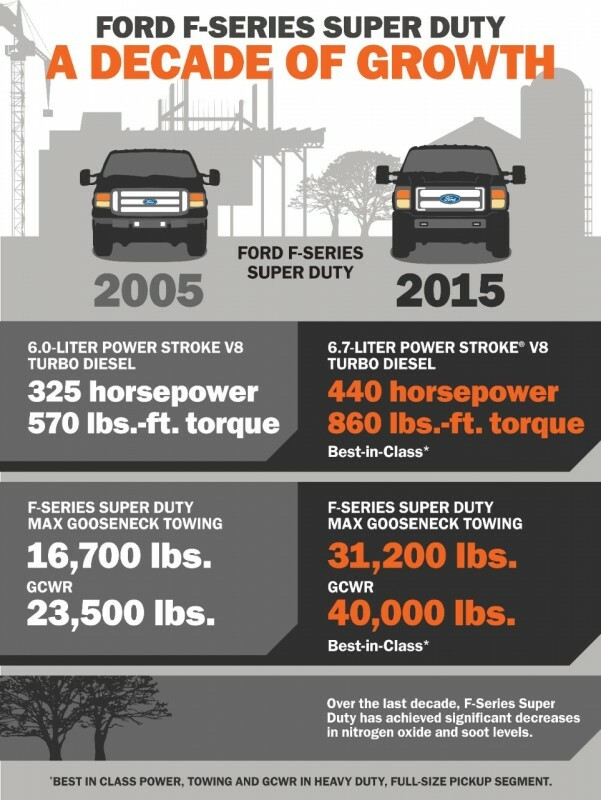 The new Power Stroke V8, along with a number of optimizations to the new Ford F-Series Super Duty chassis adds 40 horsepower, 60 lb-ft of torque, 6,500 lbs of towing capacity (460 horsepower, 860 lb-ft or torque, and a 31,2000 lb max towing capacity). The new Power Stroke engine will benefit from a compacted graphite iron engine block and reverse-flow layout, which will result in shorter airflow from exhaust system to turbocharger and improved performance and efficiency by isolating the turbocharger inside the engine’s valley. The new Ford F-Series Super Duty trucks (the F-350 and F-450) will each come with a number of packages to increase gross combined weight rating and tow rating; improve suspension, springs, and shocks; and improve braking calibration among others.